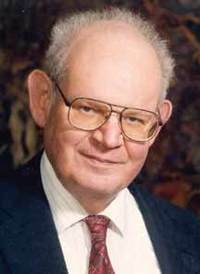 Benoît Mandelbrot was a Polish-born French/US mathematician, largely responsible for the present interest in fractal geometry. A native of Warsaw, he spent most of his early life in France. Mandelbrot was born into a family with a strong academic tradition: his mother was a doctor and his uncle, Szolem Mandelbrot, was a famous Parisian mathematician. His family left Poland for Paris in the 1930s to escape Hitler's regime. There, Mandelbrot was introduced to mathematics by his two uncles. Educated in France, he developed the mathematics of Gaston Julia and began the (now common) graphing of equations on a computer. Mandelbrot originated what is now known as fractal geometry and the object known as the Mandelbrot set is named after him. His work on fractals as a mathematician at IBM earned him an Emeritus Fellowship at the Thomas J. Watson Research Laboratories. In addition to his study of fractals in mathematics, he showed that fractals can be found in many places in nature, leading to entire new fields of exploration in chaos theory. He joined the faculty of Yale in 1987.